In this two day course, Sara presents a comprehensive approach to the management of persons with osteoporosis, osteopenia, and postural problems which is also useful for spinal stenosis and back pain. 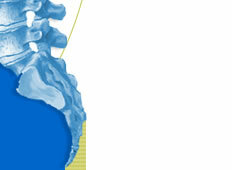 Included is regularly up-dated information on definitions, pathology and epidemiology of osteoporosis. The program includes a complete patient assessment, site-specific exercise program, postural correction, balance, gait, body mechanics during activities of daily living, use of foam rollers for balance and core strengthening, scapular stabilization exercises with resistance band, information on use of treatment modalities as they pertain to osteoporosis, and guidelines for advanced exercises (e.g., in the gym, Yoga, Pilates etc.) Therapists who take this course can then give good advice to patients seeking information about safety in movement in environments other than the physical therapy clinic. This course has been approved for CEU's in many states and has been taught at both APTA Annual Conference and Combined Sections Meeting as a pre-conference course. Contact us for information on CEU's in your state. This seminar is designed primarily for the physical therapist and physical therapist assistant; however, the information in this seminar is highly applicable to occupational therapists, certified occupational therapist assistants, other medical and exercise professionals including Yoga and Pilates teachers. Contact us for more information concerning your specialty area.